...and how their glorious colors complement my knitting. ok...they're delicious, too! Busted! And you all know how much I like playing with my food and knitting in front of the camera! 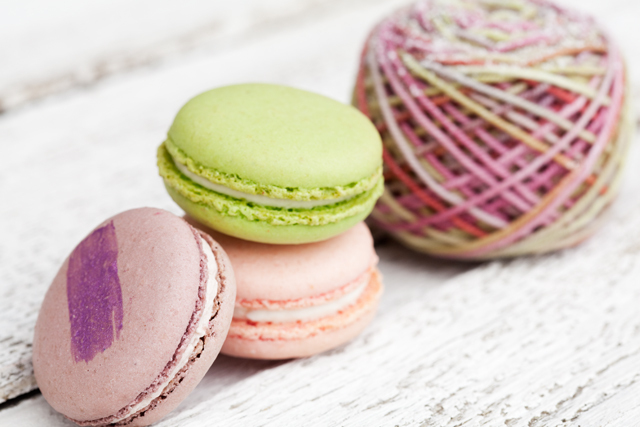 Everything goes better with a sprinkle of powdered sugar! 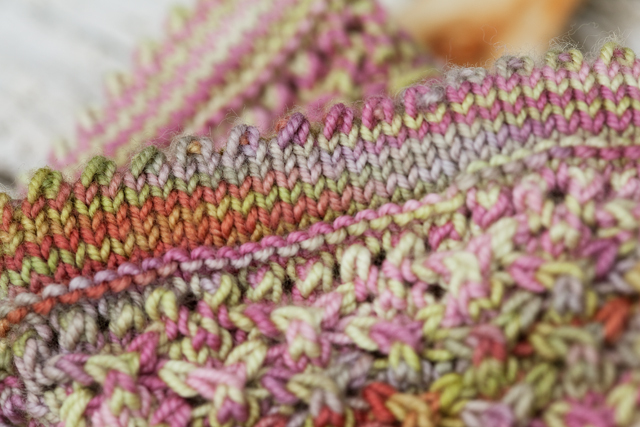 Picot edges are a knitterly dessert in my book. 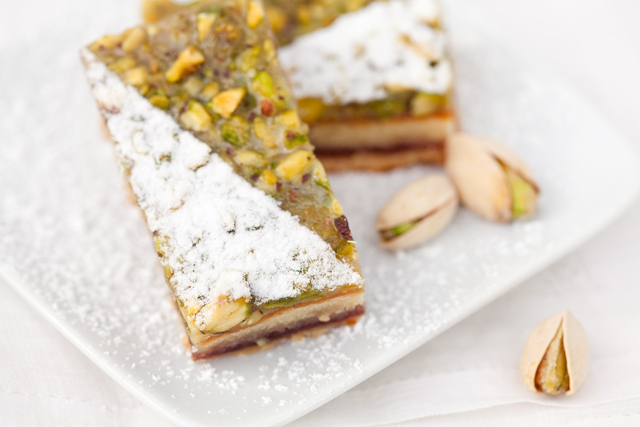 And below...a pistachio dessert from Pix Patisserie. I can see why Gail, it all looks so lovely.The colors are amazing...they look tooooo good to eat! Love the Picotedge and the Pattern. Both look fabulous with this yarn. 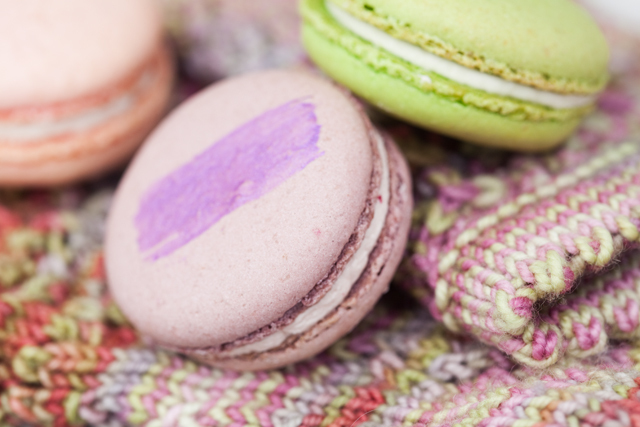 I can't get over how well your treats match your yarn! That pistachio bar looks heavenly! Somebody will take a bite of yarn for sure! Lovely pics! The colors are a pleasure for the eyes! What a great post! I am sitting here just smiling and now I want something good to eat. Ok, what I want to know is did you make these? 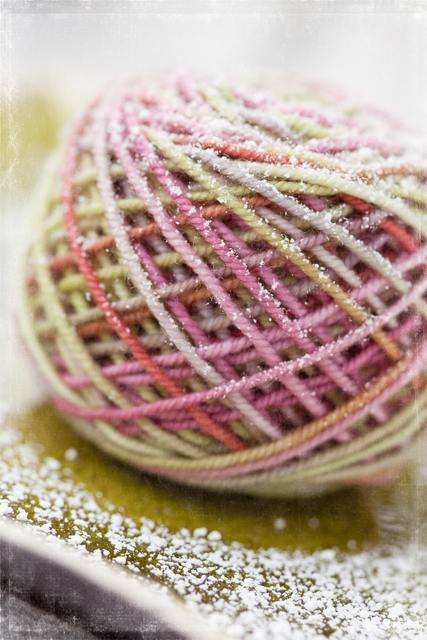 Or did you take your ball of yarn to the bakery and let it rest next to the sugar sieve?